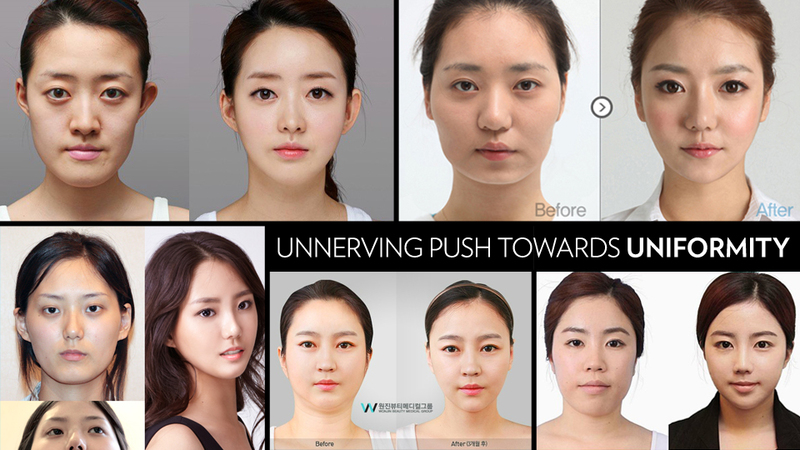 I feel completely unnerved by reading I Can’t Stop Looking at These South Korean Women Who’ve Had Plastic Surgery by Dodai Stewart on Jezebel. I thought that America would have the highest percentage of plastic surgeries in the world, but apparently not. One in five women in Seoul have undergone some kind of procedure. Most popular: Eyelid surgery, to make the eyes "more Western," and getting your jawbone shaved or chiseled down for a less-square and more V-shaped look. I find it hard to imagine happily living in a society where getting plastic surgery is considered on par with wearing makeup. Yes, it is wonderful to feel beautiful, but at what price? I want to raise my daughter to define her own beauty, to embrace her own sense of style and uniqueness. To do that, I must work on living that for myself every day. I want to model for my daughter that I am not afraid or ashamed of who I am today or yesterday. Who I am is beautiful. Who she is, is beautiful. We define for ourselves what is beautiful. And with that said, I am happy to announce my new website’s, This Is My Beautiful, first beautiful woman--Cherry Red Rachy! Please share and help all women celebrate their inner and outer beauty!